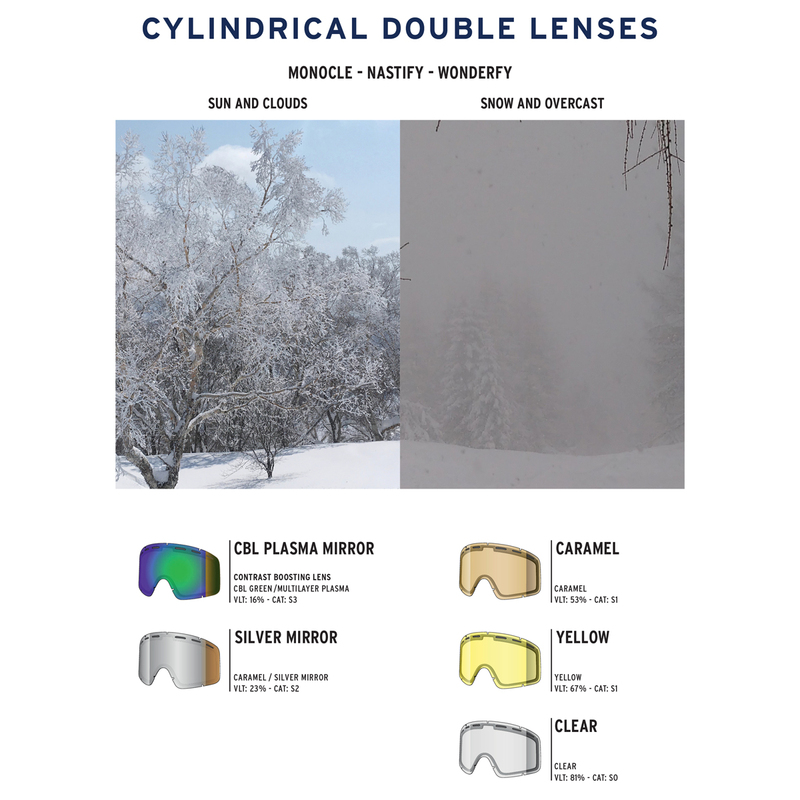 Wonderfy Needmoresnow - Cbl Plasma Mirror - Ski-Snowboard Goggles - SHRED. If you have a small face and are searching for a ski and snowboard goggle that defeats flat light while also offering a wide field of vision and superior fit and comfort, you can count on the SHRED. Wonderfy to meet your needs. With CONTRAST BOOSTING LENS™ (CBL) and NODISTORTION™ technology (available in select models) to enhance contrast and image definition and SHREDWIDE™ to maximize your field of view, the Wonderfy elevates your confidence so you can reach the next level of performance, style, and fun. SHREDWIDE™ | Goggles designed and engineered to maximize your field of view.